1. There are visible signs of damage. One of the biggest signs it’s time to replace your sliding patio door is visible signs of damage. If the glass or the frame is broken or cracked, you will likely need to replace it. If only the glass is damaged, it may be possible to replace the panes of the door and keep the structure. This will depend on the type of door, the current state of the structure, and the extent of the damage. If there is structural damage, it’s likely that the entire apparatus will need to be replaced. 2. The door doesn’t close all the way or lock anymore. If your sliding patio door doesn’t sit flush against the frame when it’s closed or is difficult to lock, something isn’t right. It’s also a security concern for your home. It could be the result of poor installation that causes the door to be out of plumb. If the door and frame are wooden, they could have become warped over time. The tracks for the sliding doors could also be worn out or off, which causes the door not to latch closed appropriately. An experienced home improvement contractor will be able to tell you whether your door just needs an adjustment to get back on track or whether it needs to be replaced. 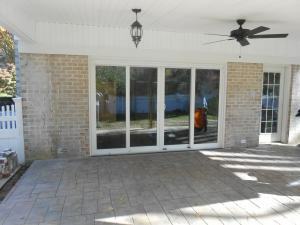 Either way, gaps around your patio door and a door that doesn’t close all the way or line up with the locking mechanism are sure signs something is wrong and it may be time to replace your sliding patio door. 3. It’s difficult to slide open or closed. A sliding patio door should slide open or closed smoothly and easily when the handle is pulled. If it’s difficult to slide open or closed, or is rough as it moves along the tracks, it may be time to replace your sliding patio door. A sliding door that doesn’t slide smoothly on the tracks could indicate worn or broken tracks, that a door isn’t sitting right in the frame, could be caused by some surrounding water damage, or could be a sign of poor installation. If you’re finding it difficult to use your patio door, it’s time to contact a home improvement contractor and have them look at it. 4. There are signs of leaks. Just like your windows and your entry door, your sliding patio door should protect your home from the outside elements and from heating and cooling loss. Check your patio door during and after rainstorms. Do you see any evidence of leaks? If you see moisture trapped between the glass panes and/or moisture around the door inside your home, it’s likely time to replace your sliding patio door. Be sure to check your patio door for air leaks as well. 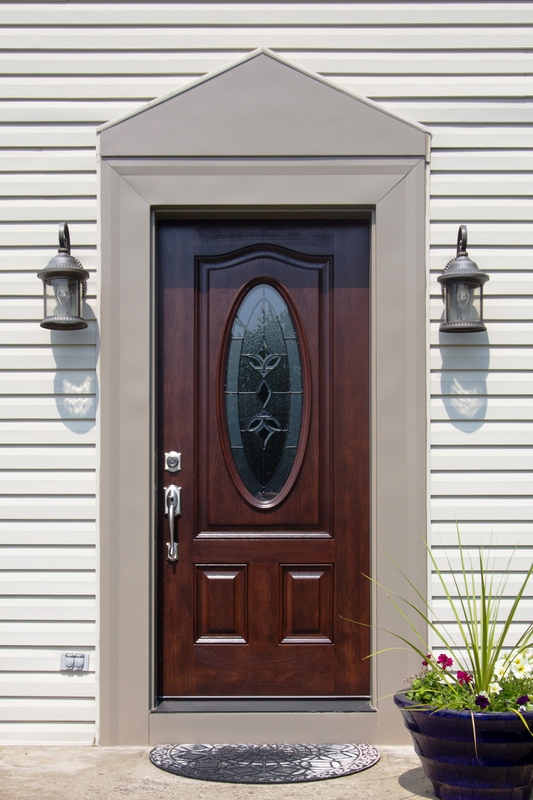 Evidence of leaks or drafts means your door isn’t protecting your home and could be causing energy loss. Plus, damage from water and moisture can be extensive. Replacing your sliding patio door can help prevent damage by providing a tight seal against outside moisture, which will also help prevent heating and cooling loss by closing off drafts. If you need help with your patio door, contact Zephyr Thomas at 717-399-4708 or stop by our showroom to see a few options in person! We’re ready to help with any home improvement need.